Wear the colors of your favorite college to school on this coming Friday and show your team spirit!! Across the United States, on the first Friday of each college school year, students, parents, family, fans and alumni observe celebrate National College Colors Day. 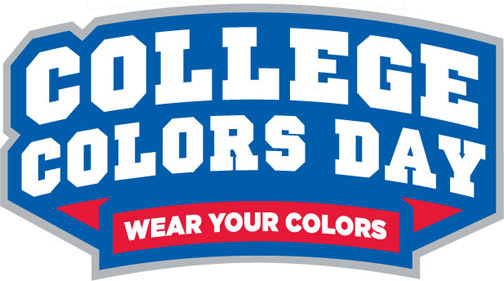 This day is annually celebrated by wearing your college’s (or the college you support) favorite colors and college/university apparel.